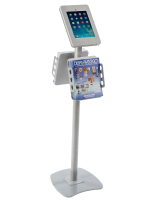 What makes iPad kiosks such a great choice for businesses, restaurants, retailers and institutions as well as for personal use? 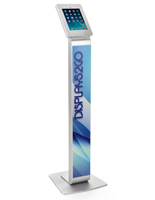 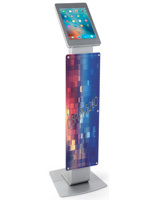 These freestanding displays are among the most versatile fixtures as far as tablet use goes. 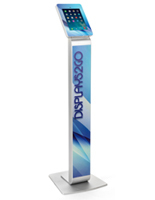 From eye-height multipurpose sales floor accessories with built-in literature holders to on-stage music stands to portable tradeshow fixtures to bedside book displays, these modern fixtures will meet any need. 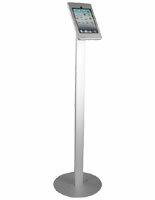 Interactive iPad kiosks come in a wide, wide range of styles that matches any use. 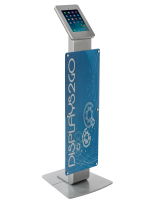 Locking cases with fixed orientation are great for showcasing looped media or wayfinding information. 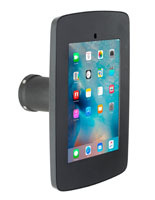 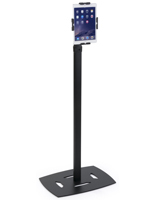 Portable iPad kiosks, known as perfect trade show accessories because they offer customers easy access to sales or information apps, can be set up and taken down in mere moments. 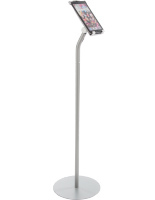 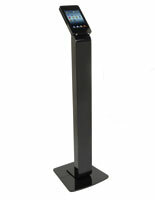 Folding tripod-style stands are great for home or school, and adjustable-height fixtures can show a movie in the living room as easily as give a presentation in a boardroom. 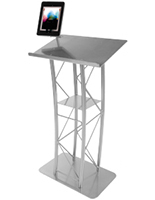 Sturdy steel, lightweight aluminum, durable plastic and acrylic construction means that even the simplest styles are commercial-grade. 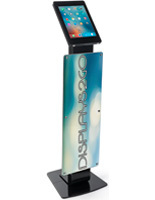 And the variety of security options available runs the full gamut from open use to multiple locking enclosures. 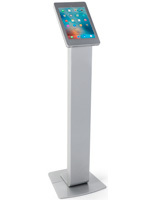 What are some of the uses for tablet display kiosks ? 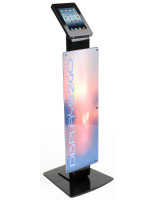 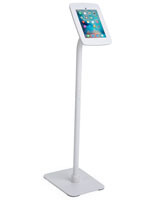 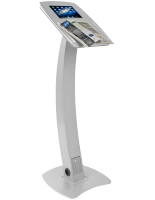 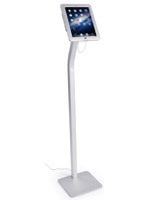 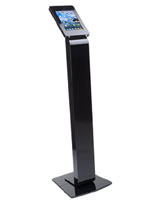 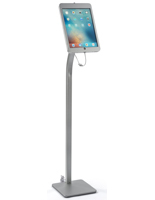 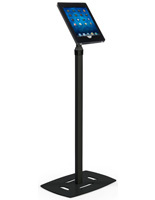 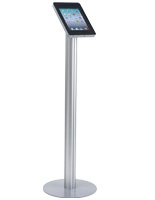 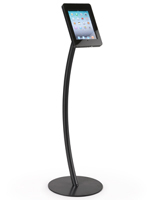 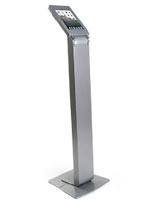 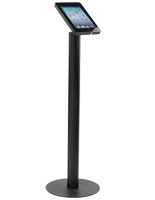 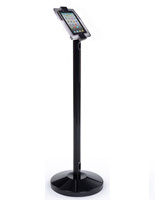 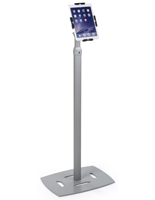 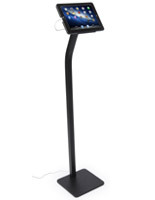 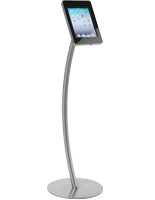 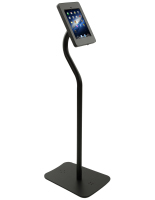 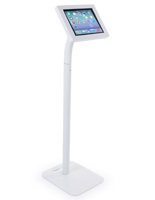 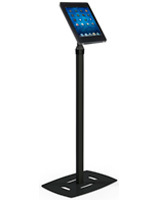 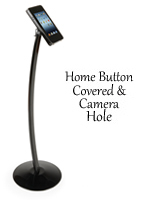 iPad kiosks make great trade show fixtures because they are portable, easily secured, and user friendly. 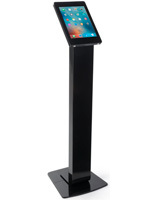 Commercial-grade construction allows these enclosures to stand up to high traffic and heavy use with ease. 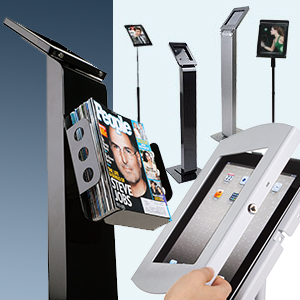 Interactive or self-service sales apps allow retail and service customers to shop and browse at their own speed. 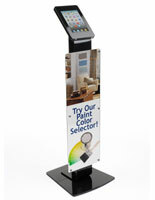 Allowing patrons to customize their shopping or buying experience as much as possible increases satisfaction. 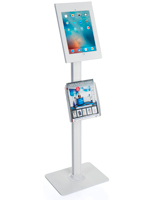 Tablet display kiosks make it easy to view multimedia content, from presenting multi-slide PowerPoint business programming to showing customer demos to watching movies and video or simply browsing the web for enjoyment. 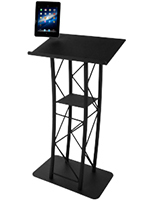 Portable and adjustable stands easily to double or triple duty, serving as business accessories during the day at the office, recipe-holding kitchen accessories during dinner prep, and showing movies in the living room at night for family time. 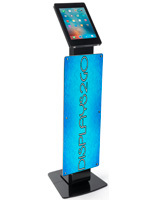 Folding enclosures with cases make taking tablets on the road a snap. 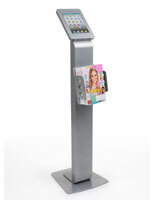 New apps, programs, interactive content and uses appear every day for tablet technology. 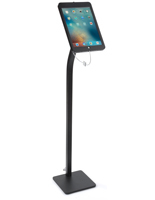 Our full-size and adjustable stands with locking or open enclosures make it easy to take advantage of the benefits provided by hands-free Apple or Android devices. 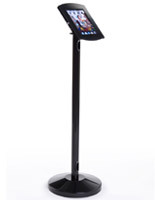 From in-store use to portable professional displays to school tools to helpful home accessories, freestanding tablet holders are a perfect fit for any user, anywhere.